Recall that Oliver wrote these essays with the assistance of Joseph Smith, using documents then in their possession that we no longer have. Presumably one of these documents was the notebook Oliver kept from the time he first met Joseph Smith in April 1829. He recorded things Joseph told him, which undoubtedly included the first visit of Moroni. 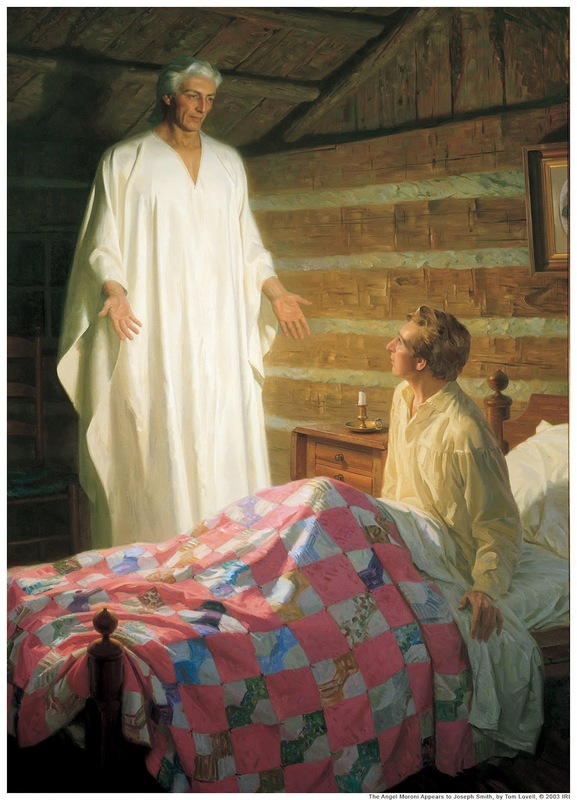 After explaining how Moroni appeared in the night, Oliver recorded what Moroni said. I've highlighted important passages in bold type. Original spelling is retained. 1. Moroni gave "a history of the aborigines of this country." Country refers to a region or territory. This qualifies country; it refers to the region or territory in which he was visiting Joseph (i.e., western New York or the United States, circa 1823). 2. Moroni said the record was "written and deposited" not far from Joseph's house. It was not written elsewhere and transported thousands of miles to western New York. The stature of this personage was a little above the common size of men in this age; his garment was perfectly white, and had the appearance of being without seam. “God has chosen the foolish things of the world to confound the things which are mighty; and base things of the world, and things which are despised, has God chosen; yea, and things which are not, to bring to nought things which are that no flesh should glory in his presence. Therefore, says the Lord, I will proceed to do a marvelous work among this people, even a marvelous work and a wonder; the wisdom of their wise shall perish, and the understanding of their prudent shall be hid; for according to his covenant which he made with his ancient saints, his people, the house of Israel must come to a knowledge of the gospel, and own that Messiah whom their fathers rejected, and with them the fulness of the Gentiles be gathered in, to rejoice in one fold under one Shepherd”. “This cannot be brought about untill first certain preparatory things are accomplished, for so has the Lord purposed in his own mind. He has therefore chosen you as an instrument in his hand to bring to light that which shall perform his act, his strange act, and bring to pass a marvelous work and a wonder. Wherever the sound shall go it shall cause the ears of men to tingle, and wherever it shall be proclaimed, the pure in heart shall rejoice, while those who draw near to God with their mouths, and honor him with their lips, while their hearts are far from him, will seek its overthrow, and the destruction of those by whose hands it is carried. He then proceeded and gave a general account of the promises made to the fathers, and also gave a history of the aborigenes of this country, and said they were literal descendants of Abraham. Here's an interesting reference to Joseph Smith teaching about the Hill Cumorah in 1835 or 1836. Joseph Curtis reminiscences and diary, October 1839-March 1881. This passage was recorded no later than October 1839. You can see this reference in the Church History library. Search for Joseph Curtis reminiscences and go to page 12/208. In January 1859, Martin Harris gave an interview to a magazine titled Tiffany's Monthly. During the interview, he made this statement. This raises a serious question about the traditional narrative regarding the golden plates. Martin knew about the Eight Witnesses. He knew each of them personally, and he knew their testimony was included in every copy of the Book of Mormon right next to his own testimony as one of the Three Witnesses. Why would he say no one but the Three Witnesses (and Joseph Smith) ever saw the plates? 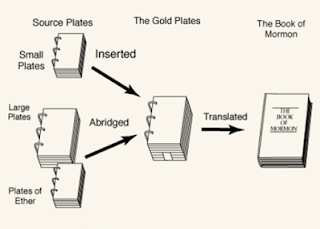 The traditional narrative teaches that there was only one set of golden plates. If that's true, then this statement by Martin Harris is false. Here is a depiction and explanation of the traditional narrative. 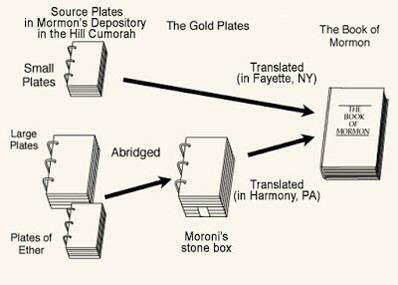 In this scenario, Moroni somehow combined the abridged plates with the original plates of Nephi (commonly called the "small plates") and put them into the stone box on the "hill in New York" where Joseph found them. The Title Page was the last leaf of the plates. It lists the contents of the plates but doesn't mention any original plates. I would that ye should continue until you have finished this record, which I have entrusted unto him. "This record" refers to the one and only set of plates Joseph ever had. "Other records" refers to unknown materials, or maybe the Book of Abraham. When Joseph and Oliver neared the end of the plates, they considered retranslating the Book of Lehi (the lost 116 pages), the Lord told them not to. Instead, they had to translated the "plates of Nephi" (D&C 10). Joseph continued translating the abridged plates in Harmony, Pennsylvania. Before they left Harmony, Joseph and Oliver translated the Title Page--the last leaf of the plates--but somehow Joseph skipped over the plates of Nephi that were supposedly included in this set of plates. Before leaving Harmony, Joseph gave the original plates to a divine messenger. On the road to Fayette, Joseph, Oliver and David encountered the messenger, who was one of the Three Nephites. 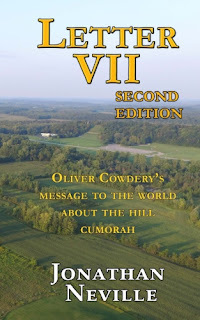 David Whitmer reported that the man said he was going to Cumorah, not Fayette. But David Whitmer lied or had a bad memory because actually, the messenger was taking the plates directly to Fayette. Both the Three Witnesses and the Eight Witnesses saw this same set of plates. And Martin Harris lied to Tiffany's Monthly. The new scenario, which I refer to as "two sets of plates," is quite different. In this scenario, Moroni put only the abridged plates into the stone box on the Hill Cumorah where Joseph found them. He did not put the plates of Nephi into the stone box; instead, those plates remained with all the other original Nephite records in the repository in a separate department of the hill. "This record" refers to the original set of plates; i.e., the abridged plates that Moroni put in the stone box. "Other records" refers to the plates of Nephi, of which Joseph and Oliver knew nothing at the time. When Joseph and Oliver neared the end of the plates, they considered retranslating the Book of Lehi (the lost 116 pages), the Lord told them not to. Instead, they had to translate the "plates of Nephi" (D&C 10). Now they knew what "other records" referred to. Except they didn't have the plates of Nephi--yet. Joseph continued translating the abridged plates in Harmony, Pennsylvania. Before they left Harmony, Joseph and Oliver translated the Title Page--the last leaf of the plates. They were finished with those plates. They had translated everything Moroni put in the stone box, except for the sealed portion. The messenger took the original plates to the depository of Nephite records in Cumorah, picked up the small plates of Nephi, took them to Fayette, and gave them to Joseph. That's why Joseph and Oliver translated the plates of Nephi in Fayette. The Three Witnesses saw the original plates, brought by the angel (presumably Moroni). The Eight Witnesses saw the plates of Nephi, brought by one of the Three Nephites (as Joseph's mother explained). Martin Harris was not a liar. He spoke the truth to Tiffany's Monthly. If you're not familiar with the "two sets of plates" scenario, there's a diagram on this blog. Look under "Pages" in the menu in the right column. There are lots of other facts that lead to the "two sets of plates" scenario, as described in my book, Whatever Happened to the Golden Plates. As always, I'm not trying to persuade anyone of anything. I'm simply presenting facts so you can make an informed decision. I'm offering explanations that make sense to me, but don't take my word for it or anything else. I welcome alternative explanations, if any. Just email them and I'll post them in this blog.